When Katie Bouman was credited to be the scientist behind the first black hole image this month, she faced a question mark on her credibility, due to her gender. However while gender bias is one of the most talked about biases, it is not the only bias which modern day workplaces suffer from. A recent study ‘Walking the Tightrope’ by Society of Women Engineers (SWE), a 38,000-member organization, founded in 1950, reveals that engineers suffer from high levels of bias affecting everyday workplace processes. For instance, over 77% of engineers reported bias in promotion decisions. While men engineers face bias based on where they come from, women engineers are more likely to face gender bias. How can organizations root out these inherent biases to make engineering a bias-free profession? 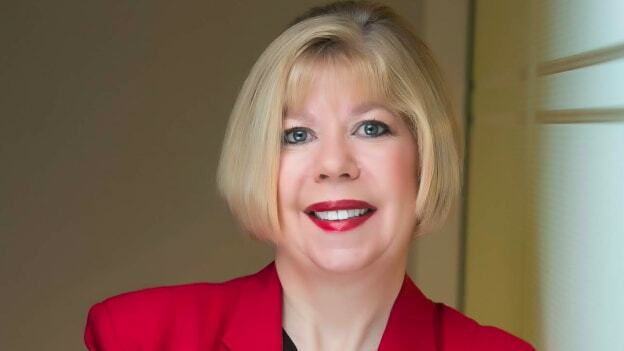 In an exclusive interaction with People Matters, Karen Horting, CEO & Executive Director at SWE, a driving force that seeks to establish engineering as a highly desirable career aspiration for women, throws light on some of the probable ways to do so. Could you share some insights from the report 'Walking The Tightrope’, about the bias patterns in India's engineering workplace? • Half of engineers surveyed reported bias in their companies’ hiring systems. We found a direct connection between the levels of bias reported by survey respondents and their feelings of inclusion at work and their desire to stay or leave their organization. For example, when engineers feel that they have to prove themselves over and over to be seen as competent at work, they are also likely to report feeling a lower sense of belonging in their workplace. Through survey responses from almost 700 engineers in India, engineers reported high levels of bias across both genders. Our findings suggest that men engineers face bias based on where they come from, while women engineers are more likely to face gender bias. What are the major reasons for the causes of these biases? We hold biases based on experiences or pre-conceived notions, and many of these biases are unrecognized as such by those who hold them. Biases can impact our everyday decisions in the workplace but left unrecognized and unacknowledged, they can affect how we interact with others and influence our hiring, promotion, and compensation decisions. They can impact an organization’s culture and make it challenging to develop an inclusive workplace. How would you say India fares vis-à-vis other developed countries as far as bias in engineering workplaces is concerned? The findings from gender bias studies conducted by SWE in India and the US indicate that white men engineers in the US report lower levels of bias than women engineers and engineers of color, while in India both men and women engineers reported high levels of bias in the workplace. Our research suggests that woman engineers in the US and India experience bias based on their gender, while men engineers in India were likely to report bias based on their region of origin or the language that they spoke. What do you think are some of the ways engineering organizations can address these biases? Education of managers and leaders is key to eliminate gender bias in the tech world and the overall workplace regardless of what industry. Simple training on gender bias isn’t enough, though. Evidence shows that one-time diversity trainings often do not work. For change to occur, systemic bias at each level of a business organization must be addressed. This will allow leaders to take a full look at how they can make sure things like salary increases, promotions, and assignments are designated in a way that doesn’t negatively impact women. Research has shown that bias interrupters are an effective way to make systemic changes. Bias interrupters are small tweaks to your existing business systems and processes that often interrupt bias before it happens. 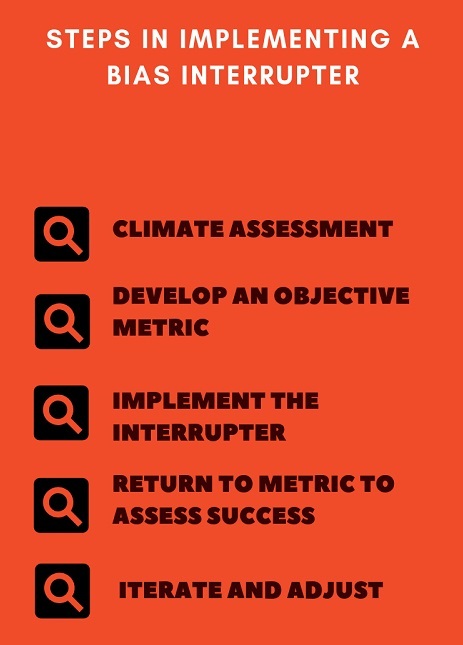 To effectively use bias interrupters, the first step is to do a climate assessment. Find out if the bias patterns are present in your workplace and how they are affecting everyday work interactions. One tool for accomplishing this is the Workplace Experiences Survey—a version of the survey used in this study that is adapted for use to assess organizational climate. Second, develop an objective metric to establish baselines. For example, do performance evaluations in your company show consistently higher ratings for men than for women? Do women’s ratings fall after they have children? Next, implement a bias interrupter. Typically, this involves evidence-based tweaks to existing systems and processes. For example, if your climate assessment shows that men from certain groups get less access to the glamour work or that women are doing more “office housework,” consider rotating the less glamorous tasks among those within your area. After putting a bias interrupter in place, return to your metric to assess success—and try something else if you have not yet met your goal. Bias interrupters involve an iterative process, so you should plan to go through several rounds of adjustments to get the results you are hoping to achieve. Also, organizations could signify to employees that supporting diversity is a priority for the company by making sure there is a budget and support staff for diversity efforts and making it easy for employees to participate. Appoint diversity champions, ideally high-ranking men who can provide an example for others that supporting diversity is valued by the company. If you choose a woman to be in charge of diversity efforts, make sure a high- status man is her co-chair or mentor, so she has support. Could you highlight some of SWE’s efforts in making engineering as a highly desirable career aspiration for women? One of SWE’s most notable programs to further this mission is SWENext, our free program for girls in grades K-12 (under age 18) to become part of the Society of Women Engineers and have access to information about engineering camps and programs, engineering competitions, scholarship opportunities, mentors and other resources available to them to help further their interest in STEM. This program has almost 5,000 members across the globe. SWE is also actively working with business leaders, policymakers, and other nonprofit organizations to create a level playing field for women in engineering. We have a Corporate Partnership Council made up of more than 80 organizations, dedicated to helping further our mission. Some of these organizations have joined SWE’s program, the STEM Re-entry Task Force, and now offer “returnships” to help women return to work after a career break. And, SWE’s Career Center has more than 4,000 jobs for women engineers at every level of their career. In addition, SWE provides over $830K a year in scholarships for aspiring engineers. Complementing our SWENext program, we host engineering outreach events that have been attended by hundreds of thousands of girls every year. How do you think India can encourage more women to take up a career in STEM? What is being done to address this at the global level? We must change the perception of what an engineer looks like. A stereotype exists globally that engineers and technologists must be men. But this is not entirely true. We must demonstrate that engineers and technologists are also women by showcasing successful people of both genders in the field. Changing the perception of what an engineer is will increase the number of young women who continue to pursue their passions in STEM, rather than giving up because societal perceptions are telling them they don’t belong in that profession. On a global level, organizations like SWE are working hard to not only change the perception of what an engineer looks like but to highlight the successful, hard-working women engineers who hold leadership roles. You can’t be what you can’t see. Showcasing these women will work to not only change that perception but to give young women role models they can look up to and aspire to be.